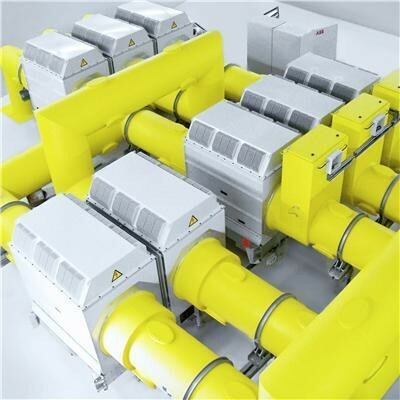 The integrated solution HECPS-3/5S is unique in the market providing all functions required by pump storage power plants (PSPP) in one system and from a single manufacturer. HECPS-3/5S consists of three individual modules: generator circuit-breaker (GCB) module with starting frequency converter (SFC) and back-to-back (BtB) starting switches, 5-phase disconnector, phase reversal module and electrical braking switch. Based on the modern HECS products group, with short circuit ratings of up to 130 kA and nominal currents of up to 17,500 A, it satisfies the requirements of largest pump storage power plants around the globe. The system includes circuit-breaker, disconnector, capacitors and control cubicle, and offers a wide selection of additional components, such as earthing switches, current and voltage transformers, and surge arresters. It is delivered fully assembled to minimize the installation and commissioning time at site. The control, monitoring and interlocking functions of the complete system are integrated in single control cubicle.